Our commitment to quality is extended to our friends on the web as well as the New Jersey communities where we successfully build. Fertakos & Company is a team of creative, hands-on, well-experienced professionals with an in-depth understanding of today's new construction projects. Our company brings the finest professional ethics to the building industry. The results are a combination of the best new ideas and the design features that have stood the test of time. 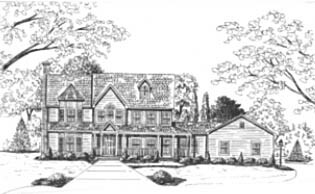 Fertakos & Company is dedicated to building you a home, addition or business that you will value for a lifetime. Whether you construct a 5,000-square-foot Estate home or a budget line kitchen, quality and attention to detail is foremost. Mark Fertakos, NJ Registered Builder with over 20 years construction experience will be glad to review your plans - preliminary or concept. If you need to avoid the architectural design stage, let us provide you with low cost plans. Fertakos & Company is versed in today's system built modular homes and will be glad to share time and cost savings linked with this technology. Fertakos & Company can arrange financing for your modular projects. With many new mortgage packages specific to the modular and systems built industry, many financing opportunities are at your fingertips. Mark Fertakos, President - Fertakos & Co., Inc.